Henry & Sons Original Vegetarian Dog Cookie Company bakes, markets and delivers the finest vegetarian and vegan nutritional pet treats. Targeting discriminating pet owners interested in the long-term health and well-being of their pets, Henry & Sons’ baked-daily cookie formulas have provided dogs with a delicious nutritional edge. The company delivers a pure vegetarian cookie using human-quality and organic low-gluten grains, hand-scrubbed carrots, apples and sweet potatoes, and fresh-ground, all-natural peanut butter with no hydrogenated oils, salt or sugar. Each treat contains super foods brimming with Betacarotene, Omega 3 and 6, as well as herbal extracts, to bring out the best in your dog. Henry & Sons also provides special easily-digestible and allergy-sensitive formulas to meet the needs of aging or allergy-sensitive canines. Dedicated to pet health and proper nutrition, Henry & Sons was founded in 1999, shortly after a chance meeting with Christine Hatherly, retired owner of Lucky Penny, a nutritionally-based dog cookie company. This serendipitous meeting with Christine inspired Tom Gibbons, an avid student of health and nutrition, to found a new company dedicated to animal nutrition – Henry & Sons. Beginning with just a few recipes from Mrs. Hatherley (which had been nutritionally developed for her beloved award-winning dog, Henry), Mr. Gibbons established his dog cookie business, electing to name the company after the dog that had been the inspiration for the original recipe. While it is commonly understood that humans benefit considerably from a nutritionally balanced diet, it is not well understood that our canine companions have similar needs. Many popular brands of dog food, as well as popular and so-called “natural” dog treats fail to meet dietary guidelines as defined by the experts in canine health and nutrition. A respected veterinarian is the correct authority to consult for your pet’s nutritional needs so that your dog’s particular breed, age, activity level, as well as other health variables, can be taken into consideration. Veterinarians have long advised responsible pet to avoid feeding their pets from the table, but more are now advising their clients to take the time to check ingredients before buying any dog food or dog treat. Ingredients such as salt, sugar, colorants, additives, and meat byproducts are commonly found in many of today’s popular pet food formulations, and yet veterinary science has revealed that such ingredients can actually be harmful to our four-legged friends. And for dogs with food allergies, skin sensitivities and health complications can be exacerbated by the inclusion of dairy, eggs, wheat and other common pet food ingredients. In recent years, nutritional experts have uncovered new evidence and formulated new ideas about pet health and nutrition. With this new evidence in hand, and with the aid and support of numerous respected and highly-valued animal health professionals, Henry & Sons has developed unique new recipes to address the nutritional needs of its furry (and feathered) friends. From the company’s first recipe, to the many new recipes and flavors developed through the years, Henry & Sons Original Vegetarian Dog Cookies have contained only the very freshest and purest natural ingredients – all fit for human consumption – and consistently selected with an eye towards optimum health and nutritional food-value. At the recommendations of their vet, as well as other trusted pet owners and breeders who place pet health and wellness at a premium, increasing numbers of loving and conscientious pet-owners are purchasing Henry & Sons original vegetarian dog cookies. 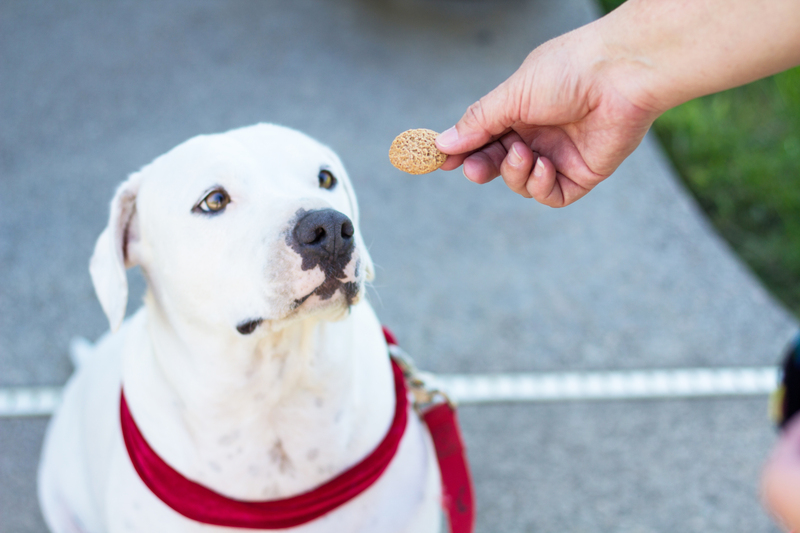 Unlike other pet treats which contain possible harmful ingredients or empty calories, pet owners can safely enjoy any cookie from Henry & Sons right along with their pet – a great testament to the healthful, farm-fresh ingredients of each and every cookie! Henry & Sons encourages pet owners to provide a healthy diet, regular exercise, good veterinarian care and lots of love to their pets. The company invites everyone to read the label first and to consult a Vet for proper pet nutrition commensurate with breed and species. At Henry & Sons, the nutritional value and human quality ingredients will never be compromised. Dr. Sheehy has been practicing veterinary medicine since 1997. Dr. Sheehy received his Doctor of Veterinary Medicine at Washington State University in 1996. He completed an internship in emergency medicine at Santa Cruz Veterinary Hospital in 1997. Dr. Boekbinder has been practicing veterinary medicine since 1977. His areas of interest include homeopathy, nutritional therapies, spinal manipulation, as well as western medicine and surgery. Dr. Power established Dermatology for Animals in 1992. She received her veterinary degree from the University of California at Davis (UCD) and subsequently completed a residency program in large animal internal medicine at Cornell University. After a number of years of practice, Dr. Power completed an additional residency program in dermatology at UCD, she was elected a diplomat of the American College of Veterinary Dermatology in 1992. Dr. Power lectures widely in small animal dermatology and has served as a visiting faculty member at veterinary schools in this country and abroad. Dr. Van graduated from Iowa State University in 1972, with a degree in Veterinary Medicine. After a few years of small animal practice in North Carolina and Florida, he moved to N.E. Iowa, where he entered a mixed animal practice, with emphasis on dairy. Upon attending veterinary conferences where he was impressed with the results of acupuncture animal care, he added to his studies and received his certification by the International Veterinary Acupuncture Society in May of 1992. He has since attended advanced acupuncture courses in Europe and the United States. His extensive work in dairy acupuncture, especially in treating fertility problems, led to his lecturing in this country and Europe as well as teaching in Japan and the U.S. He opened the first totally holistic small animal clinic in Iowa state in the spring of 1999.